Lightning Mcqueen is back in Cars 3! If your kid loves the series "Cars", you should consider getting them a Lightning McQueen ride on car. For those not familiar with the cartoon character, McQueen is a cocky, yet very likable anthropomorphic car. A great thing about this type of t﻿﻿o﻿﻿y is that it’s suitable for toddlers and young children. This means that even if your child is too young to have seen this movie or they recently saw Cars 3 and now want a lightnig Mcqueen toy car they will surely love riding in any of this ride on cars. In fact, most motorized cars can be used by kids as young as 18 months and usually have a maximum speed of 2 miles per hour. Toy companies such as Disney, Famosa and Fisher-Price have released various models of Lightning Mcqueen ride on toys such as push toys, motorized cars and even Quads. Children can drive this toys as if they are driving Lightning themselves and models of this toy has quickly become a favorite of children who love the character. With the various options of available we have helped simplify the process - read on and we'll help you choose the best Lightning Mcqueen ride on cars. Our tips for buying the best ride on toy will help make the best buying choice. This kiddieland lightning mcqueen ride on is a great multipurpose toy that transforms from a single unit into different types of toys, hence the name. With the many play options that comes with the car, children aren't easily bored with it. 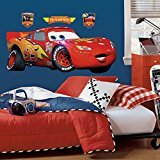 If your child is a fan of Pixar’s Cars or the Lightning McQueen character, you shouldn’t think twice about getting this product. If you run into trouble after receiving the toy the Disney Pixar cars 2 4 in 1 ride on instruction manual will assist you in getting the toy setup correctly and troubleshooting any issue you may have. 4-in-1 Toy can be used as a rocker, a push-along, or a ride on toy! This Lightning McQueen kids car plays thrilling music and makes exciting sounds, like braking or the sound of engine revving. The rocking base can be removed transforming the Lightning McQueen rocker into a foot-to-floor car toy. Lightning McQueen also features a play tray, which goes around the seat, providing more safety and comfort for the child. One downside to this ride on toy is that it’s not the cheapest one on the market. However, considering the fact that it combines 4 types of toys into one it's certainly worth the price. Not only does this toy look amazing, kids also have a lot fun playing with it. You can be sure that your kid will love it, even if they’re not into the cars movie. What's not to love about this toy car - kids can move around on their own, which aids physical development for kids older than 36 months. On top of that, the toy can be pushed around by a parent by using the pop-up handle. Another thing that makes this ride on toy amazing for kids is that it plays exciting music can produce car noises. All your child needs to do is press a button and the toy starts making noises such as engine revving, car accelerating or braking. Safety is pretty much guaranteed with this kids ride on. Even at its low price point the KiddieLand disney pixar cars Lightning McQueen activity ride-on push car racer is a long-lasting toy that is safe and durable. Still unsure of whether to get this ride on car, check out the vide﻿﻿o of this adorable child assembling the lightning mcqueen activity racer. This toy car looks very much alike everyone’s favorite character from Pixar’s Cars, Lightning McQueen. Kids can move the car toy on their own or with the help of their parents. Assembling the toy can be a difficult task if the instruction in the manual aren't followed properly. For example, finding where batteries go is far from being easy (Hint: It goes in the steering wheel). It’s better to buy a quality toy than a lots of low-quality toys. Fisher Price are known for the quality of their products and this toy is not an exception. This Lightning Mcqueen Ride on car is a durable toy that is bound to last a long time. It acts as a push ride on toy that can be pushed around with your child sitting on it or your child can move the toy around with their legs. Another fun thing about this car is the music, sounds and preset phrases it emits when the right button is pressed. The price of this lightning mcqueen car ride on toy might be bit higher than average, but it’s justified due to the fact that the toy is made of high-quality materials. You can be sure that this Lightning McQueen power wheels car is going to be a faithful companion of your child as they’re growing up. In fact, they can play with it until the age of 3 or even more, depending on their weight as the maximum weight this ride on can handle is 50 lbs. This plastic tires on this ride on toy has a tendency to make scratches on hardwood so it is not recommended for use on hardwood floors. However this toy can be used outdoor or on others types of floors which makes this ride on toy a great choice. The Disney Cars Battery Powered Ride-on Quad toy like the other toys in this article is designed so that it resembles Mcqueen from Pixar’s Cars. It's rather small, so that toddlers can reach the ground with their legs. The quad also comes with ATV wheels which makes it suitable for riding on grass and hard surfaces. When it comes to the performances, this ride on provides your kid with amazing steering coupled with good acceleration and braking ability. Still, the thing that separates this car from the competition is its battery life. The rider can enjoy up to an hour of fun, before needing a recharge. Even that is not a big problem as it takes less than 10 minutes for the battery to get fully charged. Obviously the kids will love this product for all the reasons mentioned above. But, what about their parents? Those concerned about the safety have nothing to worry about as this toy was made in compliance to all safety standards. Its material makes it hard to break, which means it should last for a long time. 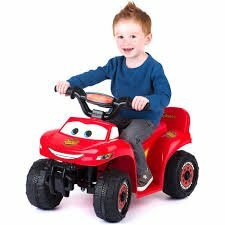 The Lightning McQueen quad is the perfect toy for toddlers in the 1-3 age group. Also checkout Kid Trax Cars Lightning McQueen 6V Quad Ride On. This is a great ride on toy for toddlers, however it might be too small for kids older than 3. In fact, if your child weighs more than 50 lbs, it might be time to consider buying a different toy. When your toddler needs to cruise, they should cruise in style – and this ergonomic three-wheeled cruiser is just the thing! Three-wheeled cruisers operate by foot pedal and look a bit like tricycles, but with a twist: a rear-wheel steering system with reversibility. While your toddler is chugging along, they can pull the bar, and twisting they go! This charming Cars 3 themed cruiser comes with a safety flag to encourage safety, a no-chain system that makes for easy cleaning, and a durable frame that can be adjusted as your child gets older. Encourage innovative and exciting play all summer! Power wheels and Cars 3, what could possibly be better? Lightning McQueen is back and ready to rumble with your toddler! This Fisher-Price motorized race car is perfect for any child who loves McQueen and his famous movies. 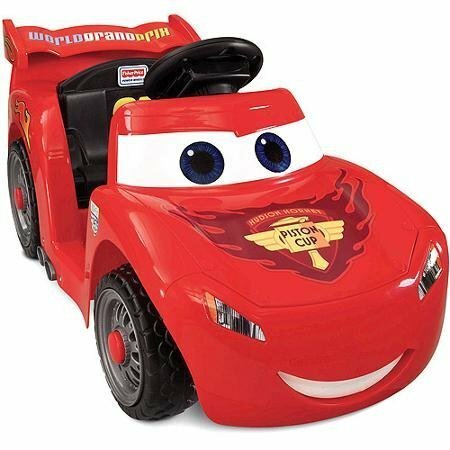 This vehicle does great on both hard surfaces and grass and makes tons of fun car noises along with several official Lightning McQueen catch phrases! 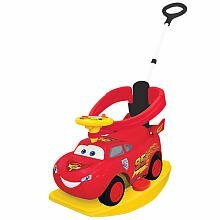 McQueen can travel at a whopping 3.5 MPH and goes in forward and reverse with ease with the included 6-volt battery. This styling vehicle is built for one child and includes authentic decals themed after the movie. Battery operated car toys like the lighting mcqueen power wheels car or the mcqueen quad come with a charger that can be used to charge them. The location charge port is stated in the toy manual. Although many think Lightning Mcqueen was named after the legendary actor and car enthusiast, Steve McQueen, the character actually got its name to pay homage to late Pixar animator Glenn McQueen. The Lightning mcqueen battery powered car is usually equipped with a 6V battery. To get your car to go faster you might need to upgrade the battery. Checkout the video below for an easy guide on how to upgrade to a lightning mcqueen power wheels 12v battery operated car. Lightning McQueen is a top red racecar, the lightning mcqueen car type design is a cross between a Mazda Miata and Dodge Viper and the paintwork is based on a Chevrolet Corvette C1. Since the movie was released, Lighting Mcqueen has become one of the most recognizable character of the movie franchise and a fan-favorite. The red racer appears on shirts, apparel and has even appeared in the world racing series. If your kid loves the lightning Mcqueen character, there’s no need for discussion – you need to buy them a lightning Mcqueen ride on toy and consider accessorizing it for more enjoyment. 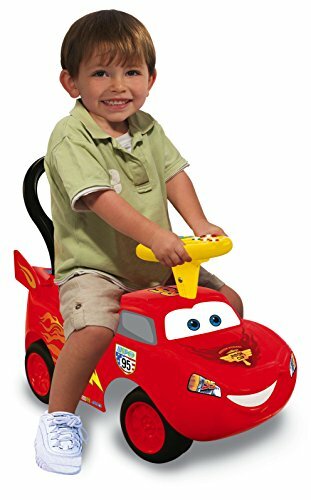 If your child is not interested in Mcqueen themed toys you can consider getting them a electric motorized ride on car.